1959. Headquarters of A.E.I. Electronic Division. 1959. 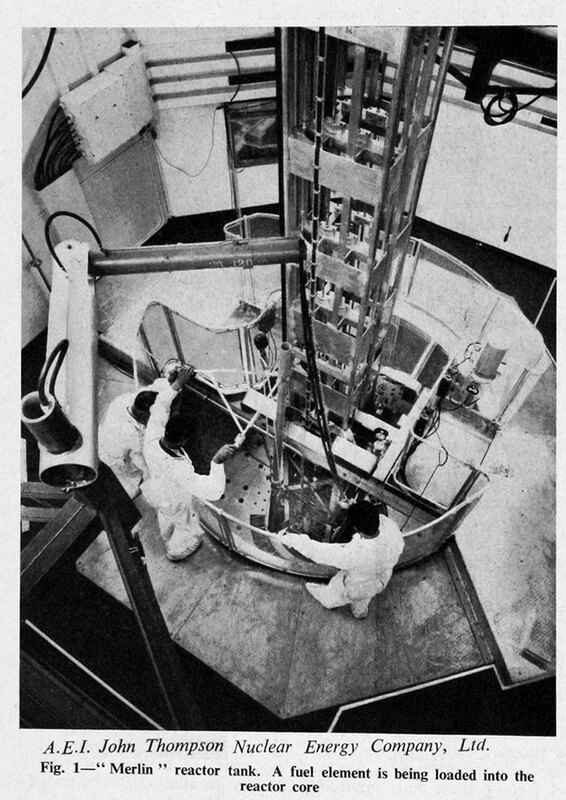 Merlin Reactor Tank at the Research Laboratory, Aldermaston. 1959. 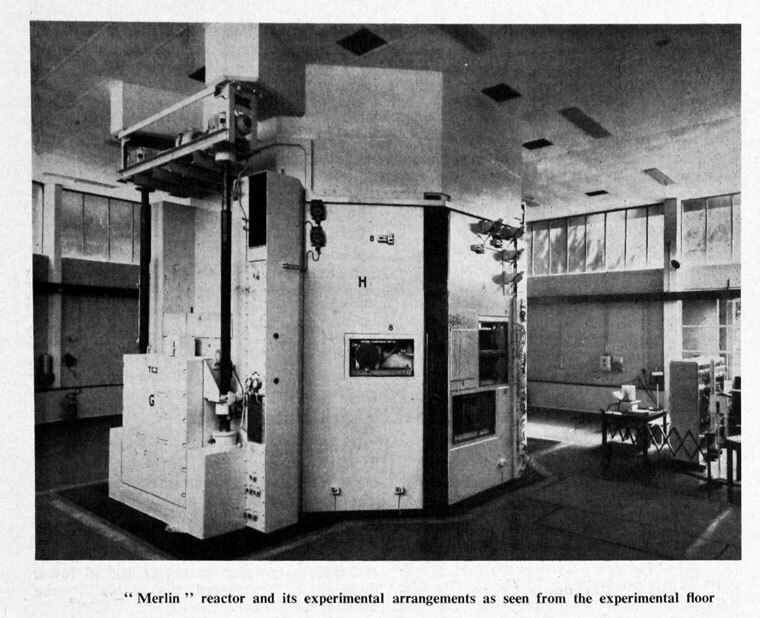 Merlin Reactor and its experimental arrangements. 1959. Multi Motor Control centre. Exhibit at the China Clay Country Park in Cornwall. 1966. 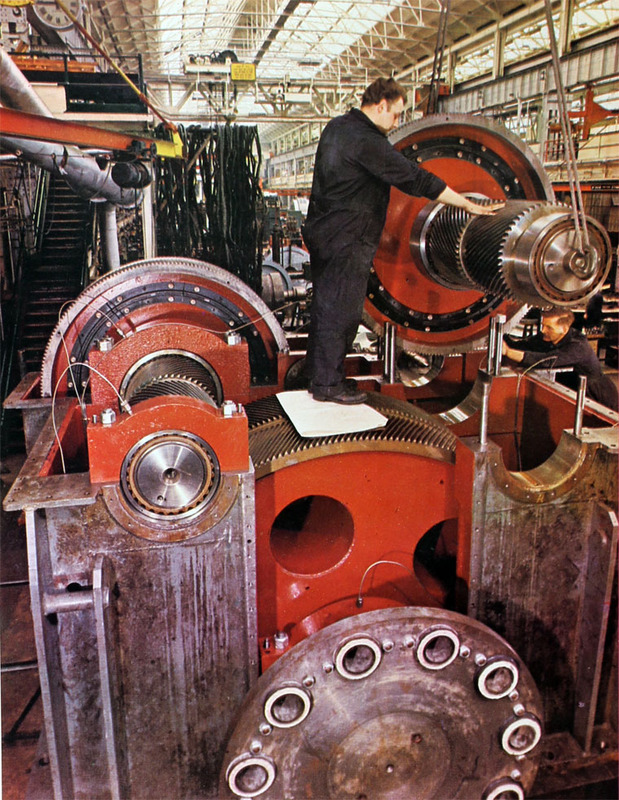 Assembling a 2,200 hp 750/17.9 rpm divided-drive, double-reduction gearbox at the Rugby Works. 1966. 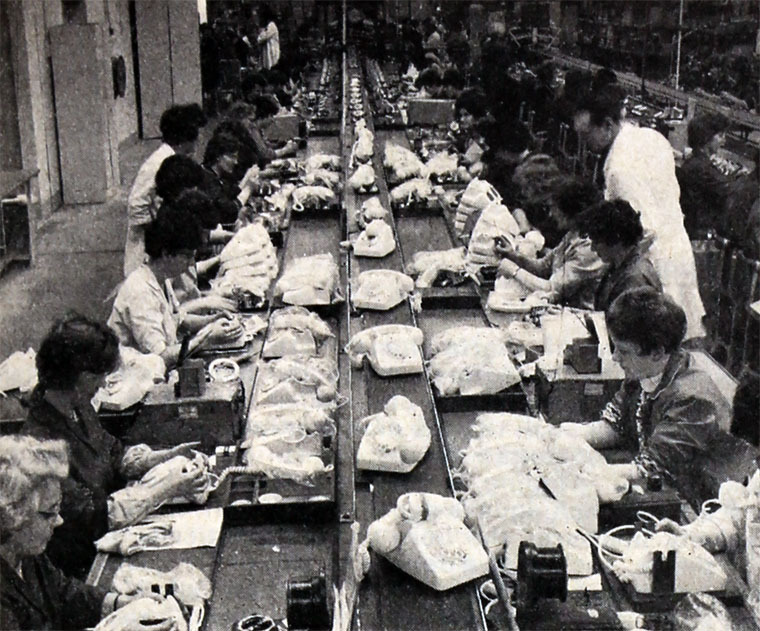 Advance factory at Glenrothes. 1966. 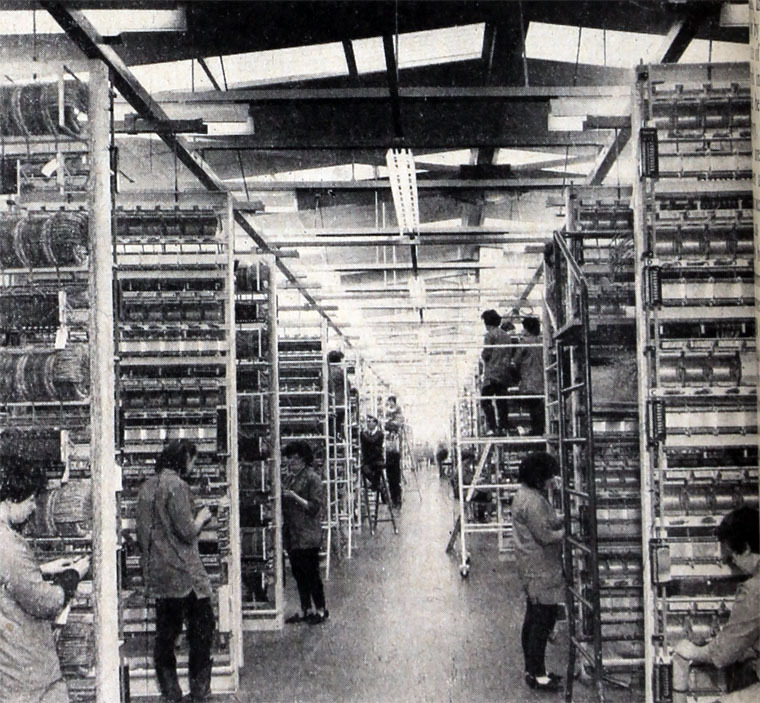 Extensive rack wiring section in the Kirkcaldy factory. 1966. 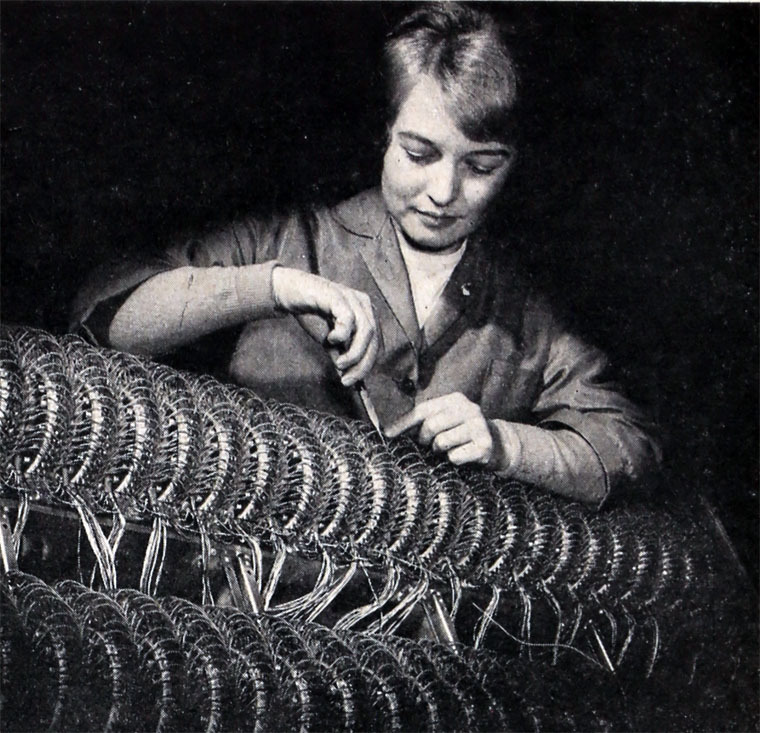 Wiring harnesses for telephone exchange racks in course of production at Kirkcaldy. 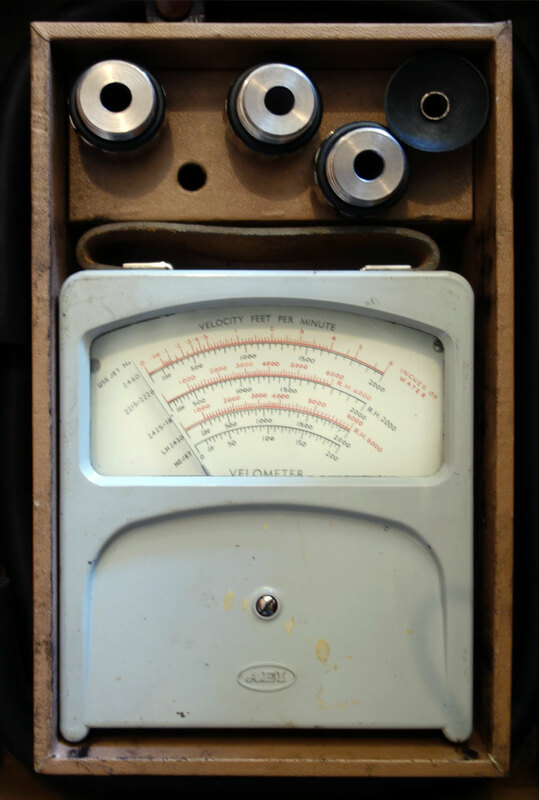 AEI Velometer - appears to be used to measure air-flow. 1926 Gerard Swope, president of General Electric (U.S.A), proposed that BTH, Westinghouse, GEC and the English Electric Co should amalgamate but Hugo Hirst of GEC was not interested in Swope’s scheme. 1928 Associated Electrical Industries (AEI)  was established, with Howard C. Levis (chairman of BTH) as chairman, as a result of the merger of Metropolitan-Vickers and its rival British Thomson-Houston (BTH), a company of similar size and product lineup. Combined, they would be one of the few companies able to compete with Marconi's Wireless Telegraph Co or the English Electric Co on an equal footing. Also included in the new group were Edison Swan Electric Co (Ediswan) and Ferguson Pailin of Openshaw, Manchester (which BTH had been in the process of buying in 1928). Several of the directors of Metropolitan-Vickers resigned to become directors of the subsidary Metropolitan-Vickers Electrical Co Ltd. The group had almost 30,000 employees. The new group was handicapped by poor communication and intense rivalry between Metrovick and BTH, which remained as separately quoted companies and often worked at cross purposes to each other. AEI was never able to exert effective control over its two competing subsidiaries. Ediswan took on valve production whilst Metrovick ceased valve production; BTH took on radio set production and continued with special purpose valves for non-domestic purposes . 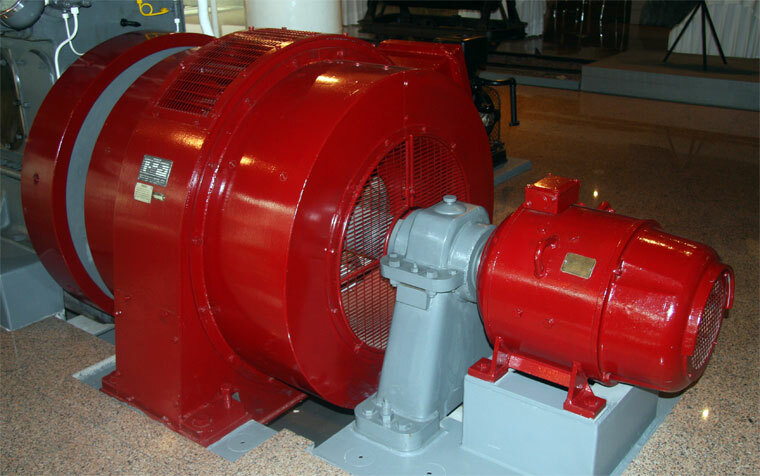 1929 The annual meeting was told that agreement had been reached with the International General Electric Co (USA) which meant that the whole group would be able to exchange patents and manufacturing information with GE (USA). Also, International General Electric Co. had significant financial interest in AEI, which it held as an investment with no suggestion that it wanted control. c.1932 AEI ceased manufacture of radio receivers. 1937 Frank Whittle's Power Jets company built the world's first prototype jet engine at the BTH works in Rugby. BTH had a major role in developing it. Development was later moved to the Lutterworth works, which were falling into disuse at the time. BTH's directors seemed sceptical of the design and offered little help. 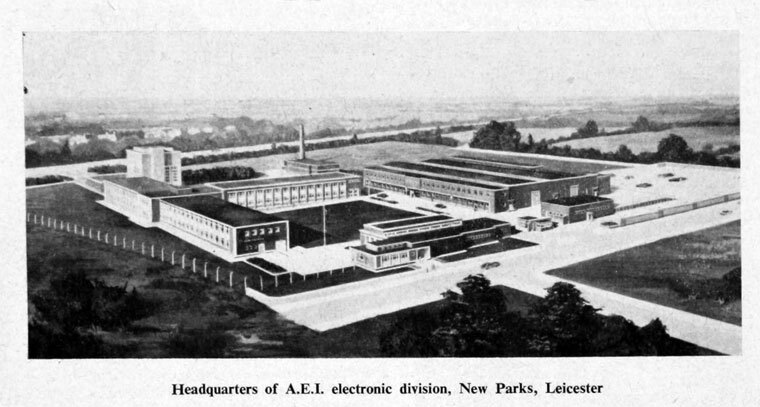 1938 Associated Electrical Industries (AEI) Ltd acquired shares in Westland Aircraft Ltd, alongside John Brown and Co.
WW2 BTH expanded north of the River Avon into the Boughton Road site to make magnetos for aircraft engines and other war products. 1940 BTH decided they were not really interested in making jet engines due to their commitment to electrical equipment. Rover was soon selected to make jet engines. 1944 The Lutterworth Power Jets work was nationalized. 1945 After World War II Oliver Lyttelton took over AEI, and started a massive expansion. 1947 The Hungarian scientist Dennis Gabor invented holography at the BTH site in Rugby. 1947 AEI acquired the International Refrigerator Co and the Victor X-Ray Corporation from the International General Electric Co and a controlling interest in Premier Electric Heaters Ltd.
1952 AEI's subsidiary Edison Swan Co purchased British Mechanical Productions and its subsidiary General Accessories Co, which made electrical accessories under the Clix brand and radio and television components, thereby filling a gap in AEI's range of products . 1954-1963 Lord Chandos was chairman of AEI. 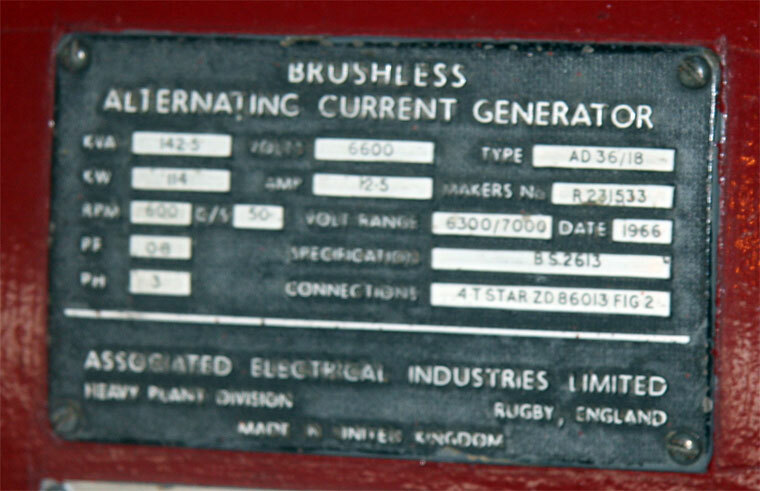 1955 Take-over of Siemens Bros , thereby acquiring a 50% interest in Submarine Cables Ltd.
1955 Four industrial groups formed to exploit the information being made available by UKAEA on design of nuclear power "furnaces" - Industrial Atomic Energy Group involving AEI and John Thompson with electrical generating expertise from Metropolitan-Vickers and BTH. Other groups were English Electric Co and Babcock and Wilcox; C. A. Parsons and Co and Head, Wrightson and Co; GEC and Simon-CarvesLtd . 1956 John Thompson Nuclear Energy Company received an order for one of 3 nuclear power stations ordered by the Central Electricity Authority . 1957 The massive new £8 million turbine works was opened at Larne as a result. 1957 or after: BTH won the contract to build the new Buenos Aires power station, valued at £35 million. Rivalries intensified with Metrovick. Lyttelton continued to try to reduce this friction, leading to several unsuccessful reorganizations and slipping profits. 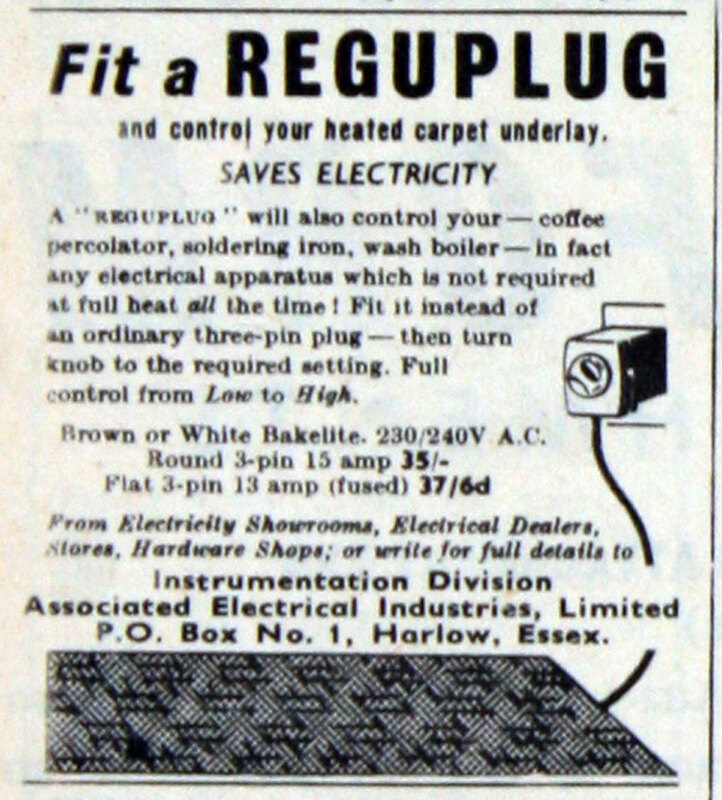 1959 Acquired Associated Insulation Products and W. T. Henleys Telegraph Works Co, and London Electric Wire Co and Smiths  but London Electric was treated as a "supply company" rather than a division. 1959 Image. Headquarters of A.E.I. Electronic Division, New Parks, Leicester. In addition there were other specialised subsidiary companies such as AEI-Hotpoint. This led to a huge falling-off in sales because no-one in the heavy electrical industry was familiar with "AEI"; a massive drop in AEI's stock price followed. Continued attempts to streamline what was two separate management structures continued to fail and by the mid-60's the entire AEI empire was in financial trouble. 1960. 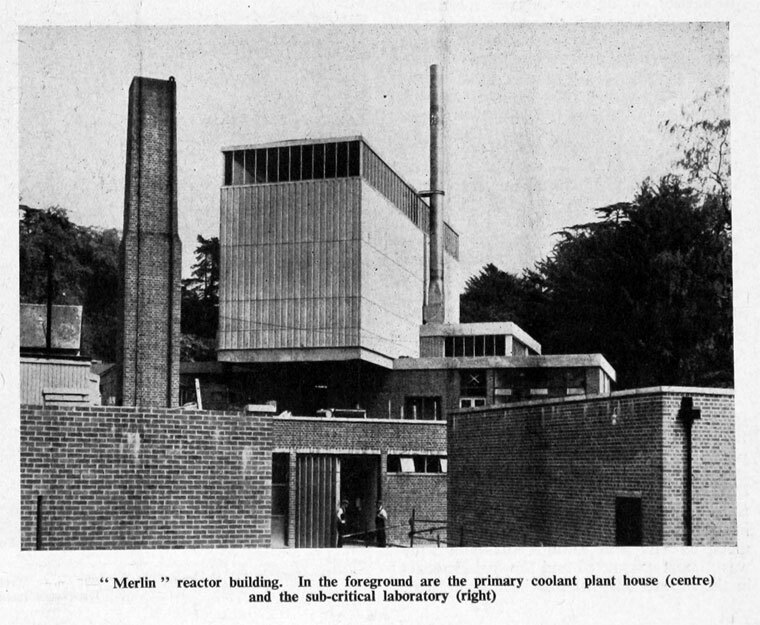 An AEI research lab was built at Rugby (building BR57 in the Boughton Road site). 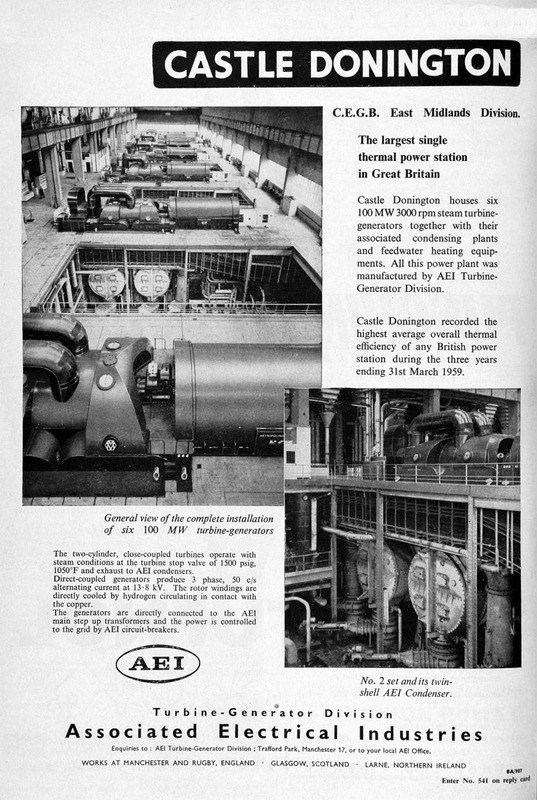 1960 Heavy electrical plant advertised under the AEI brand. Heavy plant division at Rugby and Manchester. 1960 Nuclear Power Group was formed as partnership between Nuclear Power Plant Co Limited and the AEI-John Thompson Nuclear Energy Co Limited. 1960 AEI formed a new management company, AEI Appliances, to control AEI-Hotpoint and AEI-Gala, the export business of Hotpoint. 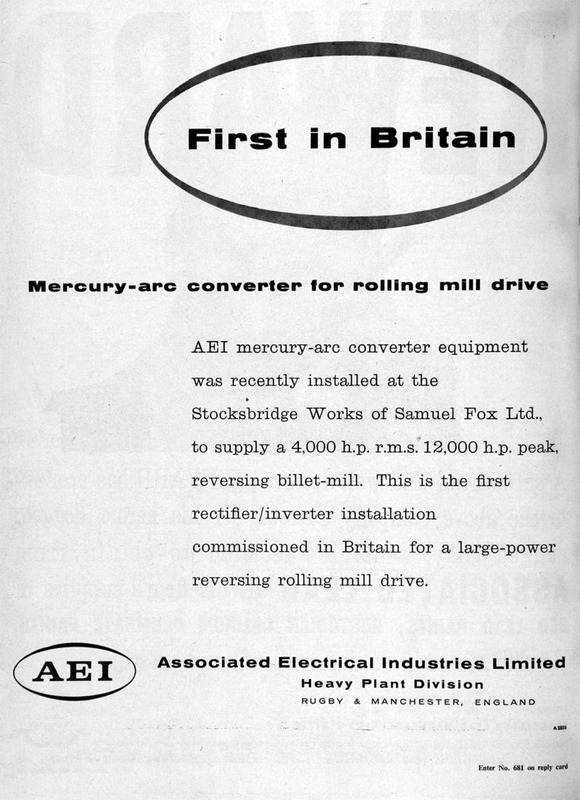 1961 Britain's largest electrical manufacturer covered a wide range of manufacture, design and distribution; AEI had 103,450 employees with works in more than 50 UK towns. 1961 New company to be formed to take over the glass manufacture and sales activities of GEC at Lemington and Wembley and AEI Lamp and Lighting Co at Chesterfield, other than Glass Bulbs Ltd.
1962 Commissioning of Britain's first commercial nuclear power facility at Berkeley. 1963-1967 Construction and commissioning of the £25M radar dish at Chilbolton Observatory. 1964 Formed joint venture with Thorn Electrical Industries to combine their manufacturing and sales activities in lighting products. 1966 AEI purchased the remaining 50% of Submarine Cables from BICC. 1966 AEI and EMI formed British Domestic Appliances to bring together their Hotpoint and Morphy-Richards subsidiaries. 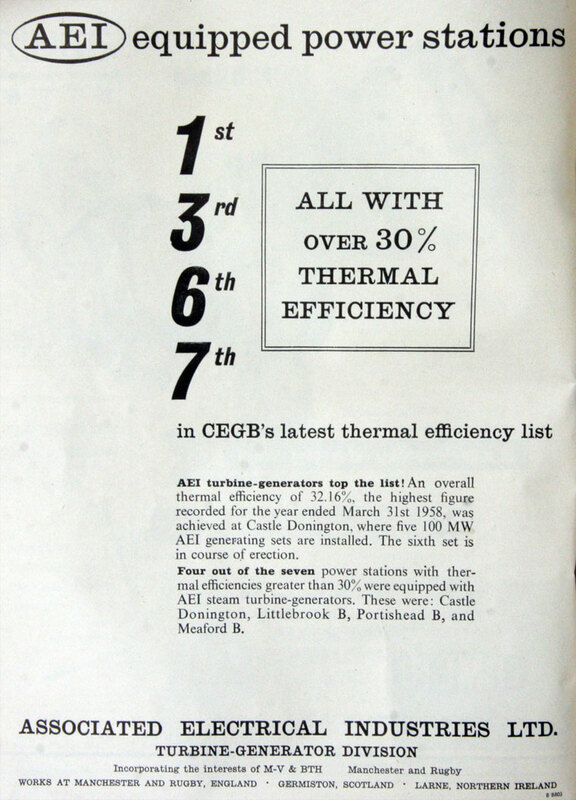 1967 AEI brands included Metropolitan-Vickers, BTH, Edison Swan and Ediswan, Siemens Brothers, Hotpoint, Birlec and W. T. Henley. 1967 AEI acquired Hackbridge Holdings Ltd which was involved in transformers. 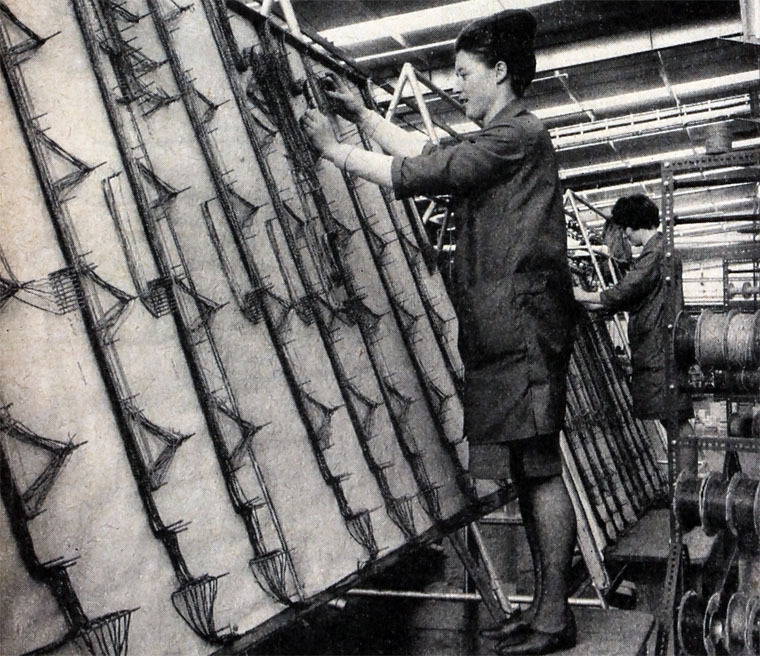 1967 Lancashire Dynamo and Crypto Ltd was acquired by AEI. 1967 GEC bought AEI outright. 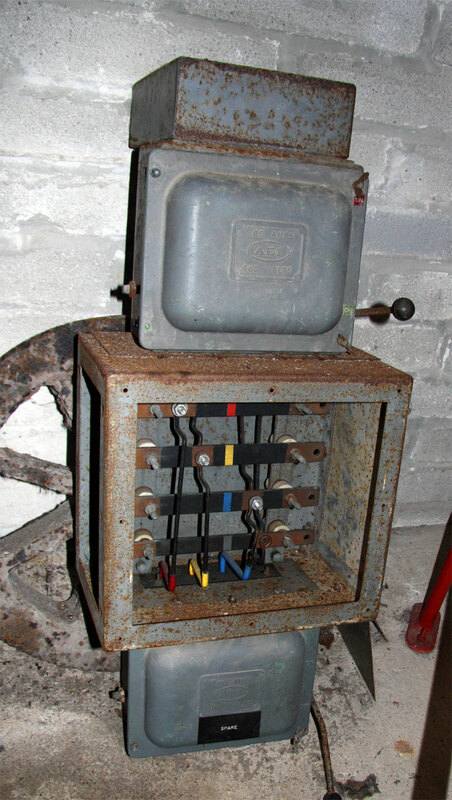 GEC thus became the UK's largest electrical group. 1969 Marconi Radar Systems Ltd (MSRL) was formed from GEC-AEI Electronics (Blackbird Road and New Parks, Leicester), Marconi's Radar Division (Chelmsford) and Elliott's Aerospace Control Division. 1970 Submarine Cables Ltd was sold to Standard Telephones and Cables Ltd.
1980s GEC Rugby shrank. Many buildings were pulled down. The area west of the Black Path became a supermarket site. The Boughton Road site became several separate small firms. 1989 GEC Rugby was split into GEC Alsthom and Cegelec Projects. 1998 GEC Alsthom and Cegelec Projects were reunited as Alstom. 2007 The firm's clubhouse on Hillmorton Road was pulled down, and its surrounding sports field was used for house building along its south edge. This page was last edited on 1 February 2019, at 17:10.